Kitchen: 220 V Wiring, Breakfast Area, Breakfast Room, Cntr Laminate, Cooktop Stove, Dishwasher Incl., Refrigerator Incl. Driving Directions: 101 to Pt San Pedro Rd, left Margarita Dr.
255 Margarita Drive, San Rafael, CA 94901 (MLS# 21418427) is a Single Family property that was sold at $3,450,000 on May 20, 2015. Want to learn more about 255 Margarita Drive? Do you have questions about finding other Single Family real estate for sale in San Rafael? 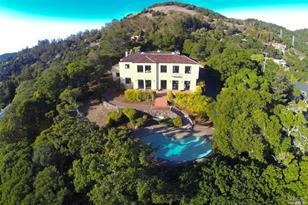 You can browse all San Rafael real estate or contact a Coldwell Banker agent to request more information.